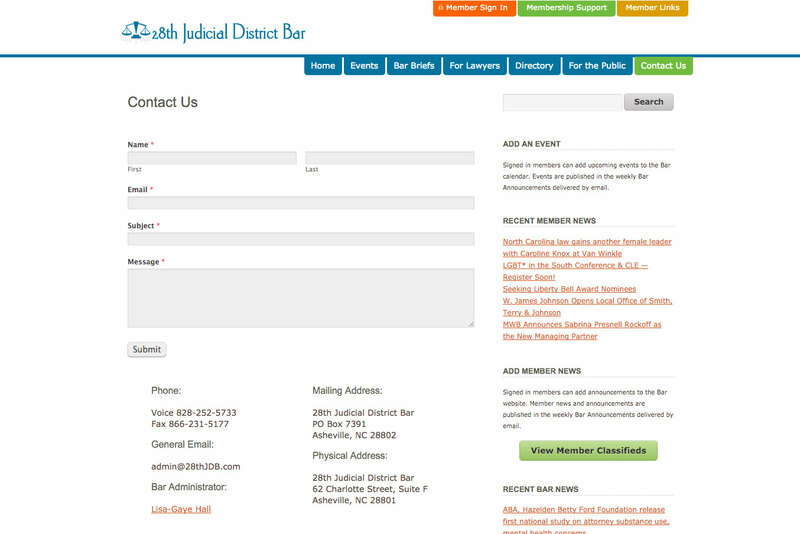 The 28th Judicial District Bar is a quasi governmental entity of the North Carolina State Bar and serves as the mandatory Bar for all attorneys in Buncombe County. 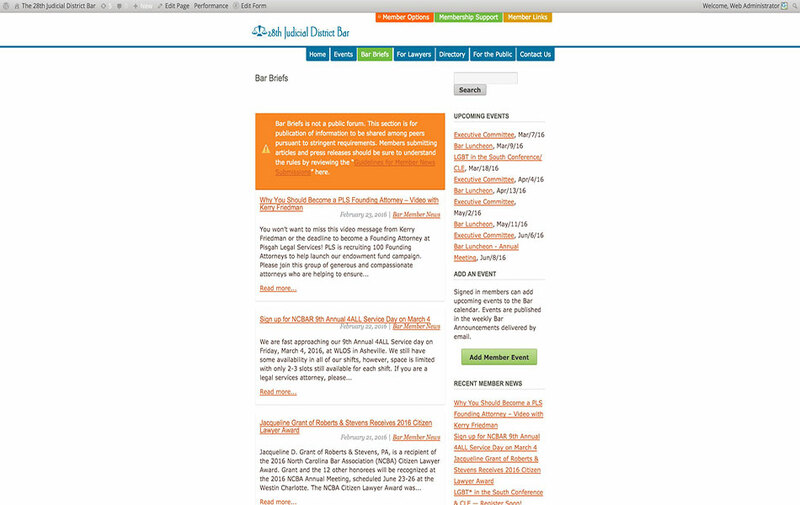 More than 800 attorneys and paralegals subscribe to the Bar website. 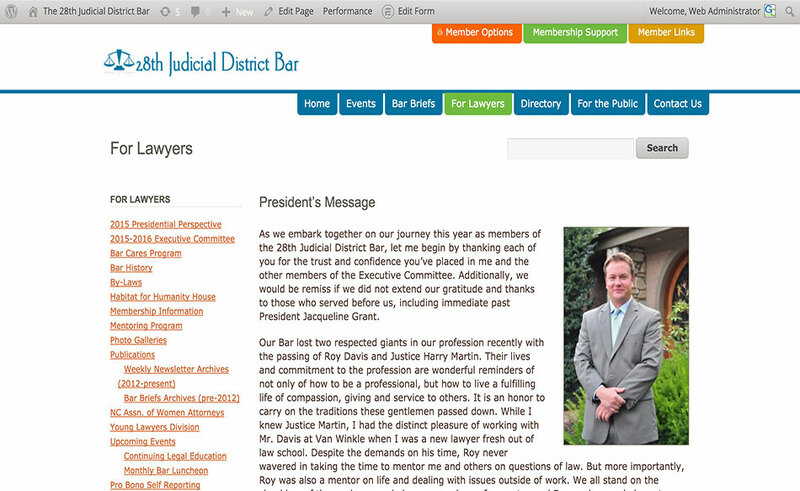 Offering a variety of new functionality, the Bar website provides an invaluable tool for attorney members and the public. 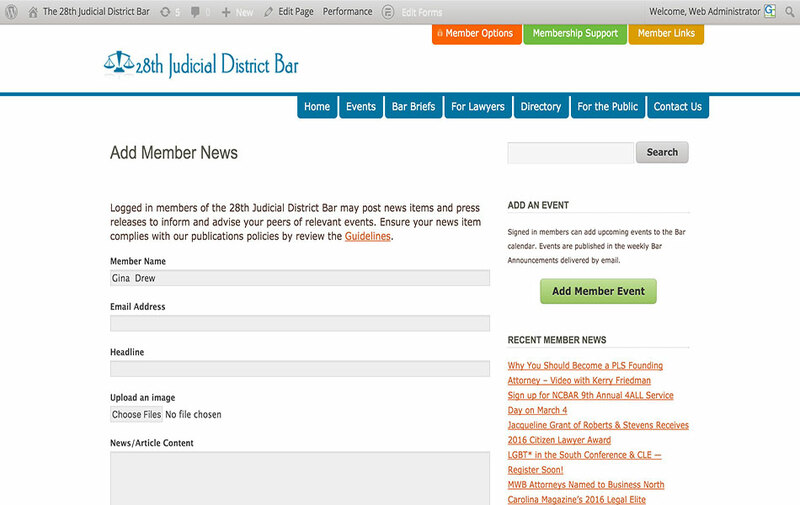 With a member driven directory built with convenience for attorneys and paralegals in mind, the site offers an outlet for member news and announcements, publishing of member-provided and managed community events, and independent mass communications. 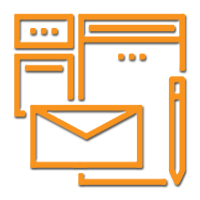 Enrolled members have the ability to easily register and pay for upcoming events and pay their dues online, creating an efficient system for busy law offices. 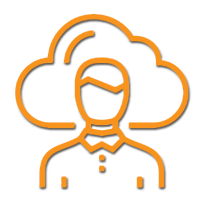 Providing an easy-to-navigate solution with user-friendly design, forms history, and a unique set of features, the end result is a power-packed tool for member and public engagement. 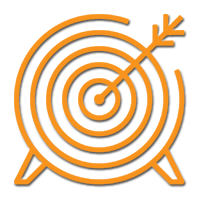 Efficiency and cost savings for Bar associations, without forsaking user experience, were primary goals for the project. 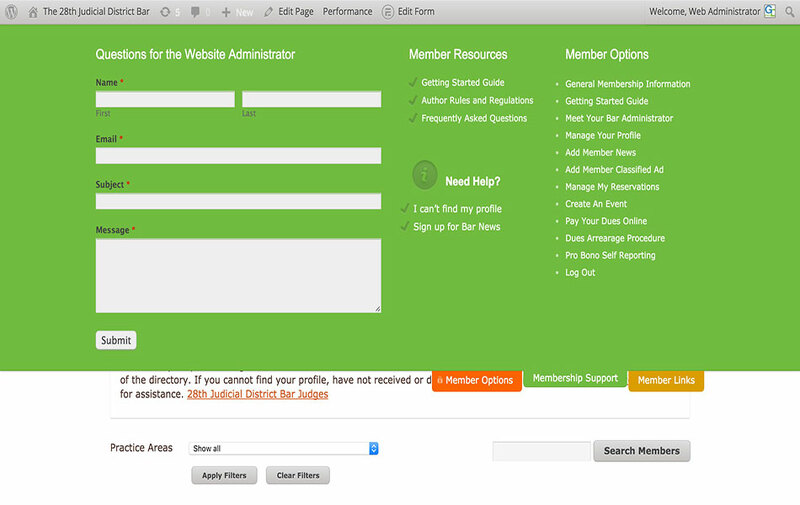 28th Judicial District Bar administrators have the ability to manage member submissions, download databases, and auto-generate weekly newsletters featuring member, community, and Bar-related news and events. 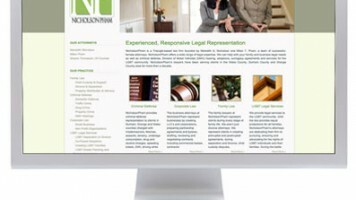 We are delighted with the functionality of the website created by NC Legal Marketing for the 28th Judicial District Bar. 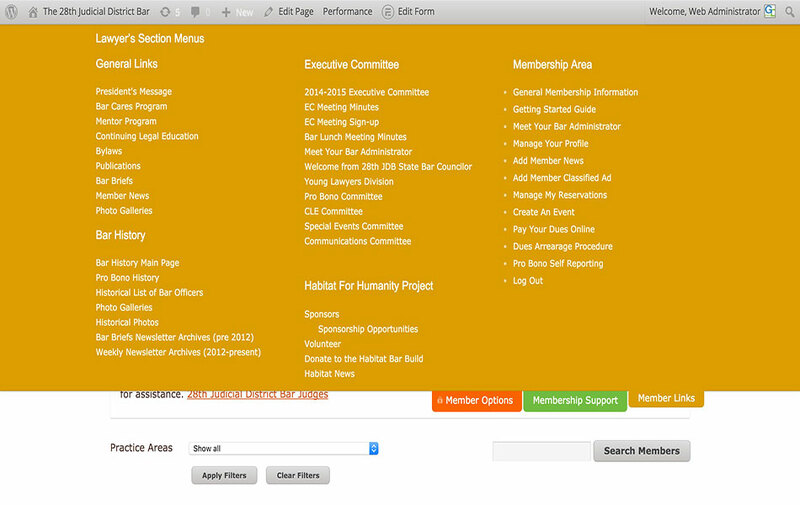 Our members are able to publish their own posts easily, and share news with the entire Bar membership with a few mouse clicks. This is a huge advantage over the printed quarterly publication we published in the past, and helps our members feel more connected to their colleagues. The website directory allows the public to find an attorney by searching by practice area, which is an excellent marketing tool for members. 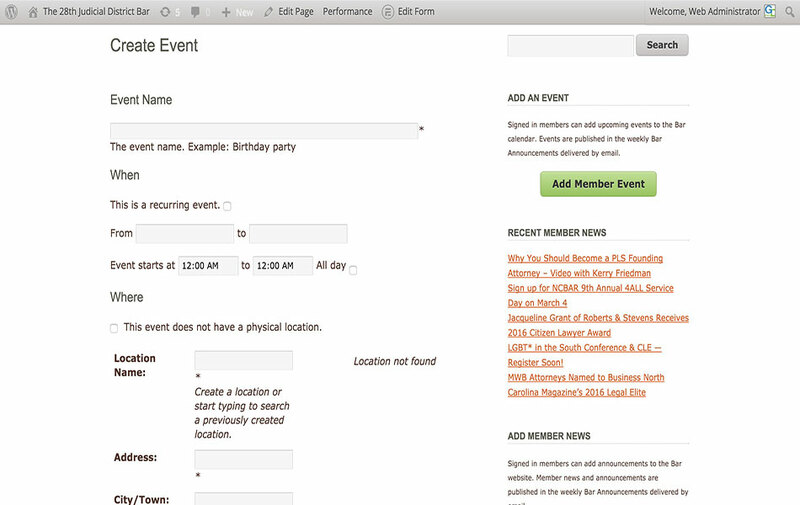 Organizing events is super easy because reservations and payments are all collected in one place. 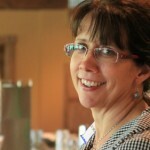 The website photo galleries allow us to publish photos of events immediately. 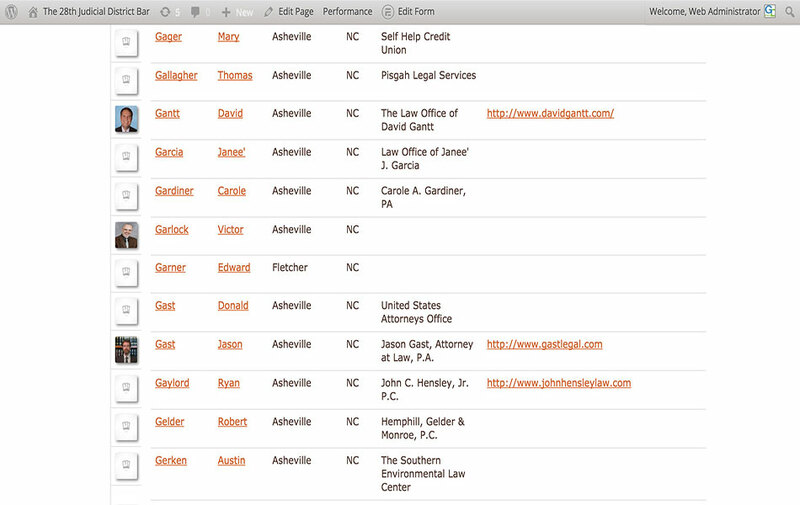 We’ve been impressed with the prompt and diligent assistance we’ve gotten from NC Legal Marketing. Hats off to this team for a job well done! 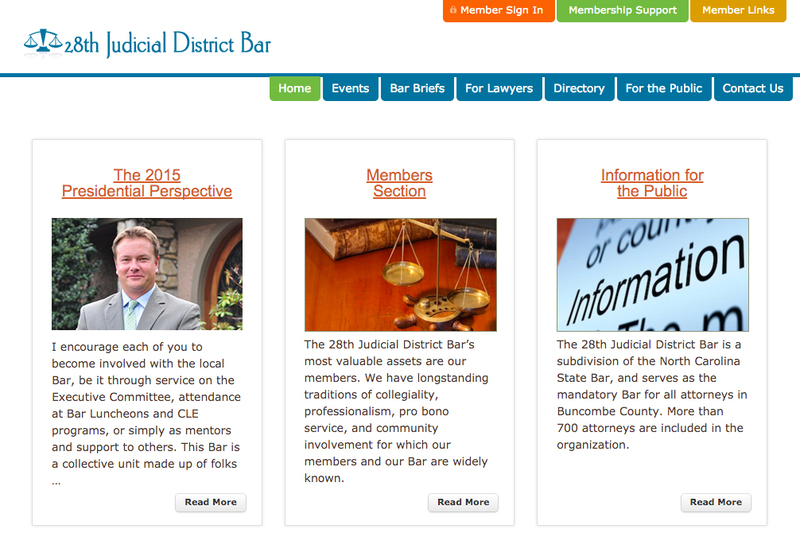 Almost a year after its launch, creators of the 28th Judicial District Bar’s website, www.28thjdb.com, believe the technology puts the Buncombe County bar in the upper echelon of bar association domains. 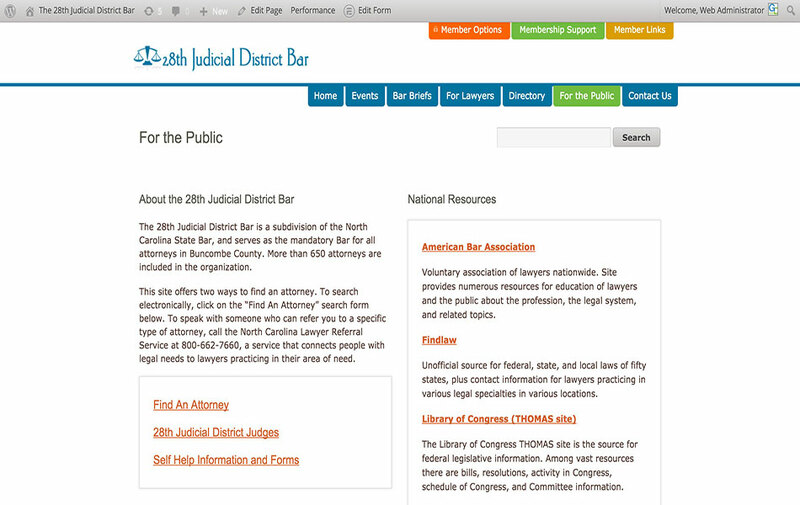 The site’s creator, Gina Drew of NC Legal Marketing, said that before the site launched in September of 2013, the 28th district bar was using multiple tools for communications. 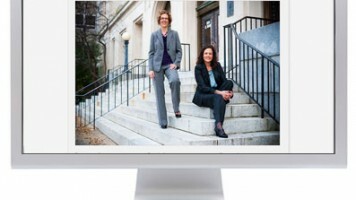 Drew, a former bar administrator who has worked as a certified civil trial paralegal, described the state’s system generally as “a little bit archaic.” The new website, she says, is driven by member needs and allows for much more timely information. “Before the launch of this website we were only reaching about 230 of our 700-attorney membership,” Drew said, adding that only about 24 lawyers remain aloof due to firewall restrictions or nonexistent or old email addresses. 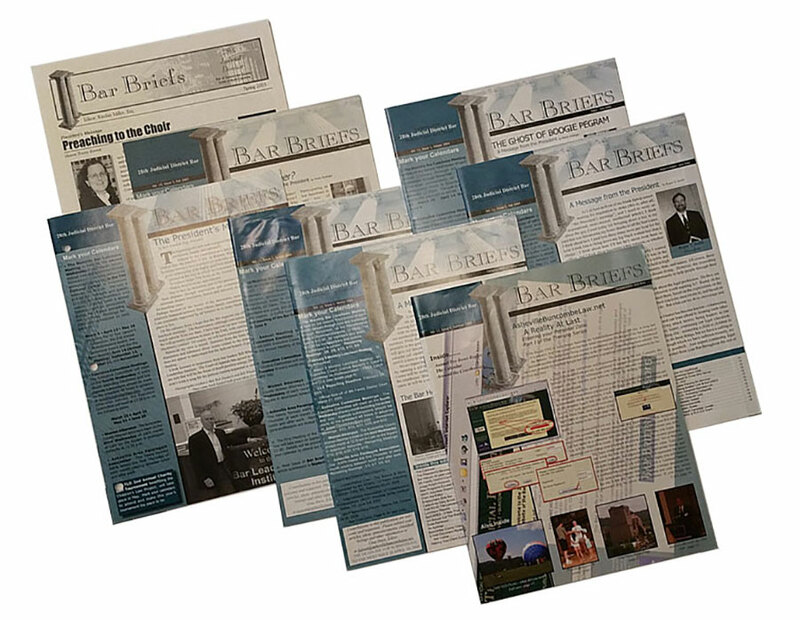 The website’s clean design and user-friendly tabs make it easy to access that information, whether looking for upcoming bar events or recent (or archived) bar news, paying bar dues or updating attorney profiles and self-publishing firm news or press releases. As the 28th Judicial District Bar administrator, Lisa-Gaye Hall facilitates all bar events, as well as the duties of the 17 member executive committee. Drew says that more than half the bar membership has logged onto the site and about that same number of lawyers access full stories – automatically generated and emailed – weekly from the Bar Briefs section. 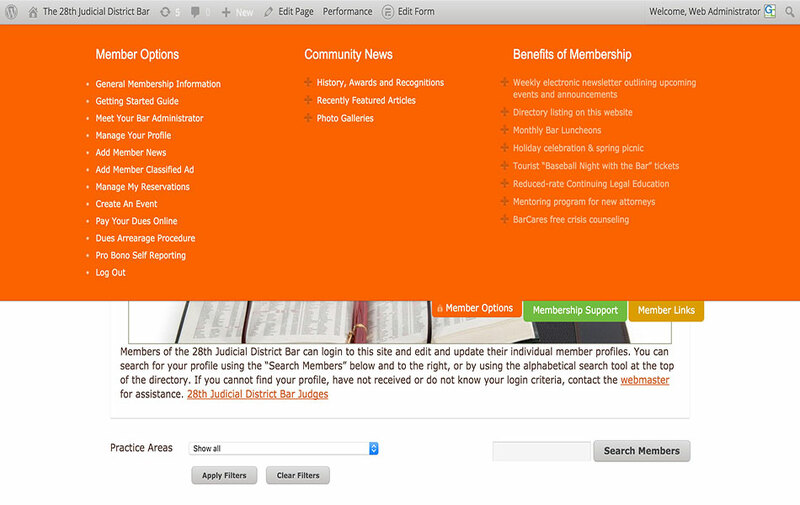 In addition to serving the needs of the legal community, the website features a “For the Public” section that allows laypersons to find an attorney, familiarize themselves with local judges and, should they decide to represent themselves in Buncombe County courts, download the necessary forms. “Pro se litigants can download packets from the website so that they can fo file their pro se divorce or their pro se evictions or whatever it is that people who can’t afford lawyers need to do,” Drew said.